After lunch at Restaurant Kenichi, we planned on getting a sweet treat to eat. 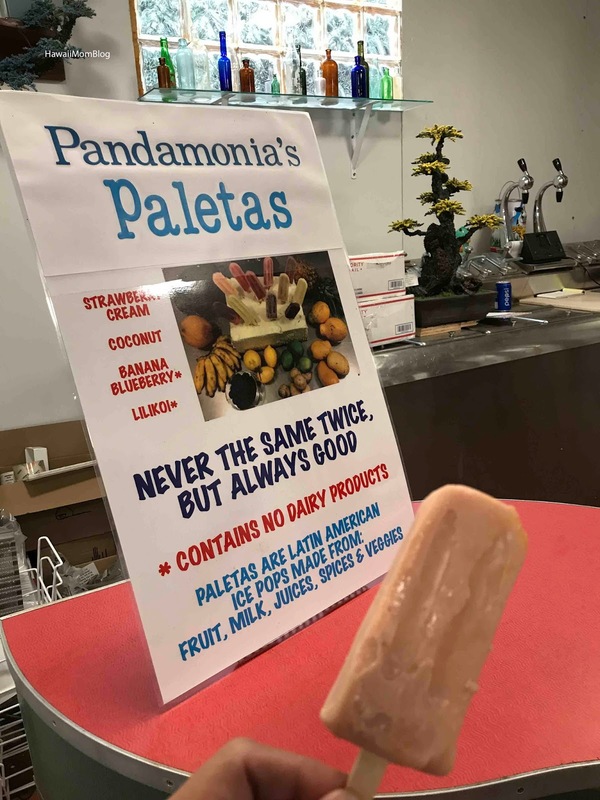 Originally, we were going to get shave ice, but I saw someone post on Instagram about a "hidden gem" in Hilo - Pandamonia's Paletas! I asked several people in Hilo about the place, and most of them never even heard of Pandamonia's Paletas before, so Nadia and I went to check it out for ourselves. 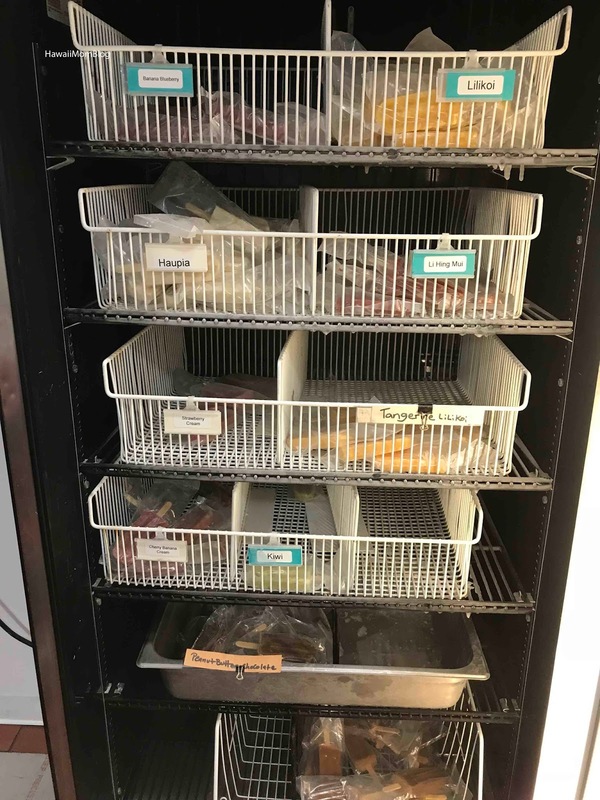 In an inconspicuous little shop you'll find freezers full of paletas in all sorts of flavors. 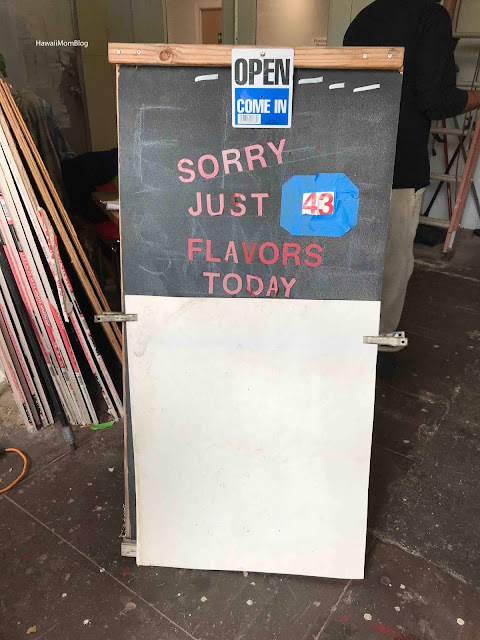 It is extremely difficult to choose a flavor from all that there is available (there were 43 flavors available the day we went). The friendly employees will not hesitate to give you some recommendations. 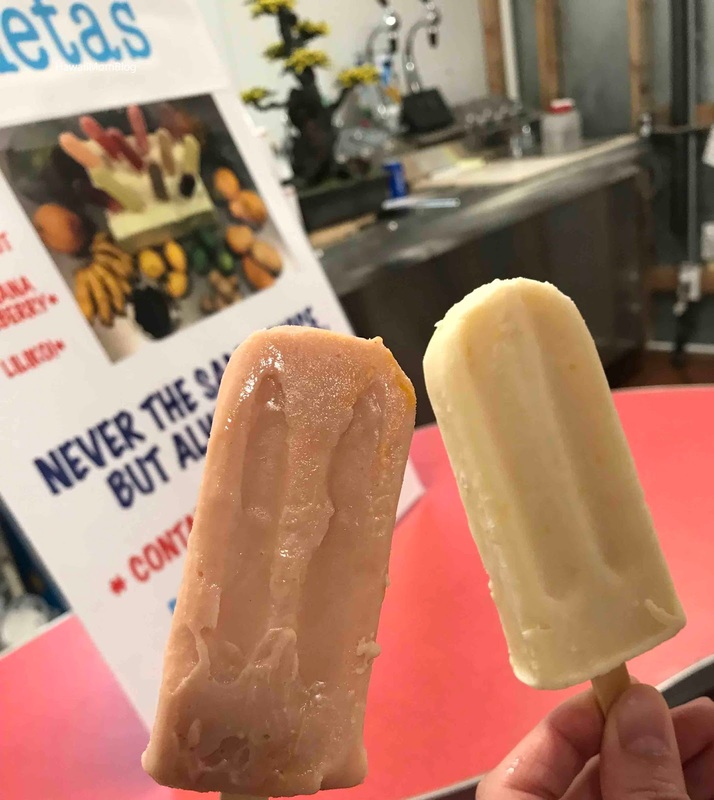 Ultimately, I chose Guava Cream, and Nadia chose Lemon Cream. 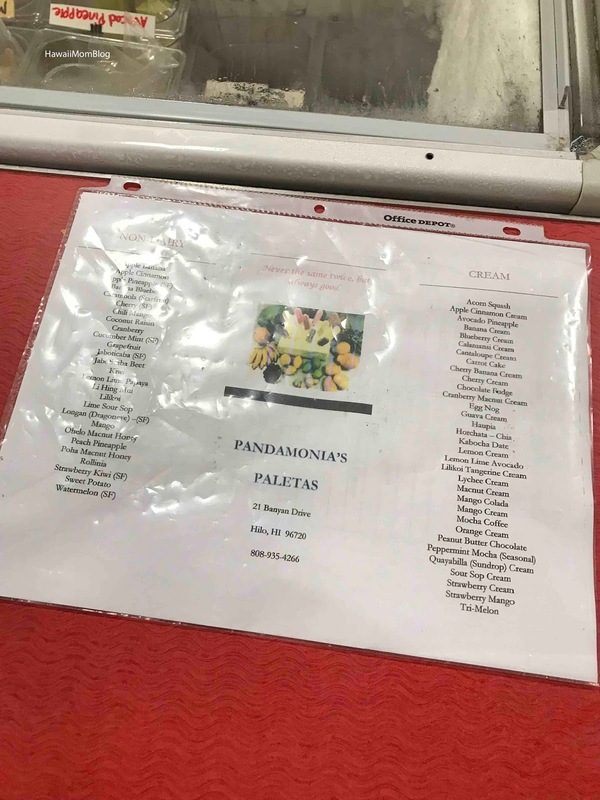 I loved the Guava Cream. It was just the right combination of tart and sweet. Nadia said the Lemon Cream was a little too sour. At just $1.50 a pop, you can try a lot of different flavors without breaking the bank. 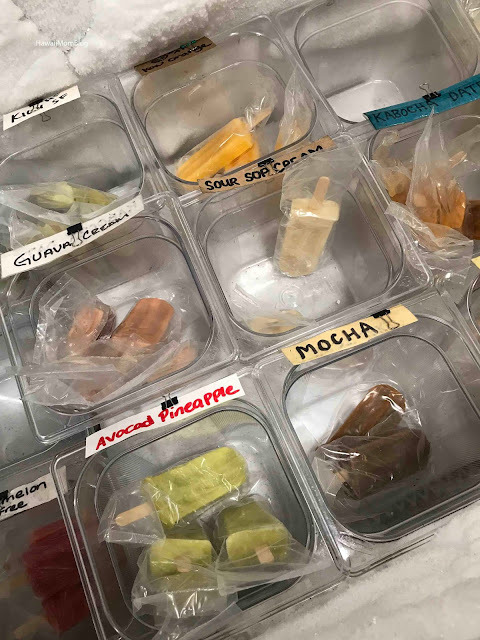 There is seating inside so you can enjoy your paleta in air-conditioned comfort. Mahalo to Hawaiian Airlines! Hawaiian Airlines is the world’s most punctual airline as reported by OAG, and is Hawai‘i’s biggest and longest-serving airline. Hawaiian offers non-stop service to Hawai‘i from more U.S. gateway cities (11) than any other airline, along with service from Japan, South Korea, China, Australia, New Zealand, American Samoa and Tahiti. Hawaiian also provides approximately 170 jet flights daily between the Hawaiian Islands, with a total of more than 250 daily flights system-wide. Visit theHawaiian Airlines website to book your next flight!